I spent many years of my life just moving from moment to moment. I believed that loving life was something that happened for others. They had luck or good connections. Or maybe a fairy Godmother. Until, that is, I learned that shifting my mindset and creating some new habits empowered me to go from dreaming and thinking to doing. Best of all, step by step, my life began to blossom into something I had only imagined. Soon, I realized that though my life would never be perfect, it was perfect for me. And even the most boring of days finds happiness, delight, and love. Even if it’s just for a moment. In Part One, you’ll explore your current reality. Awareness, my dear, is a powerful way to get started. In Part Two, you’ll define what living life on your own terms really means to you by defining your standards for living. In Part Three, you'll learn about my favorite pairing of life hacks: the power of decision and the reminder you are always in choice. 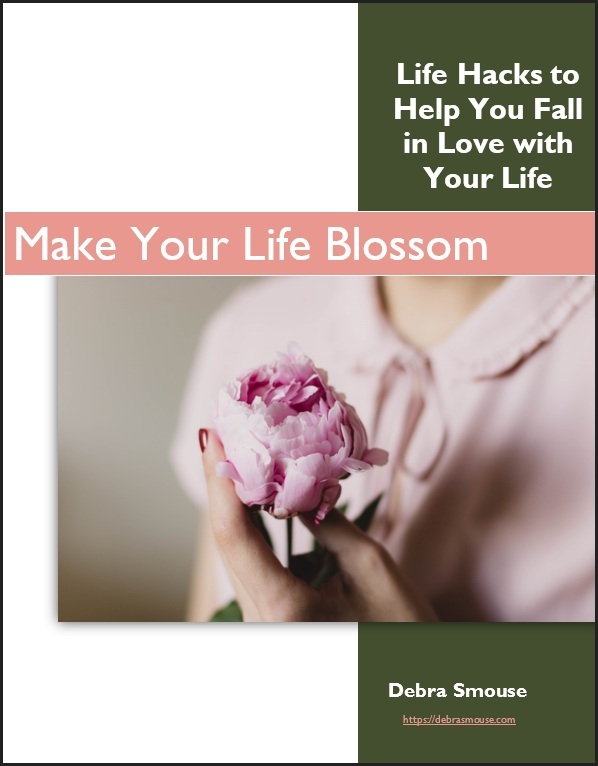 And how to parlay that into making your life blossom. .
Part Four is the secret to going from dreams to reality: action. And not just any action, but diving into choosing a single desire to breathe life into. Not only will it help you shift your mind set, the worksheets will guide you step by step through the process of my favorite life hacks. Because, darling, your life is just waiting for you to fall in love with it. Maybe once again. Or maybe for the first time ever. 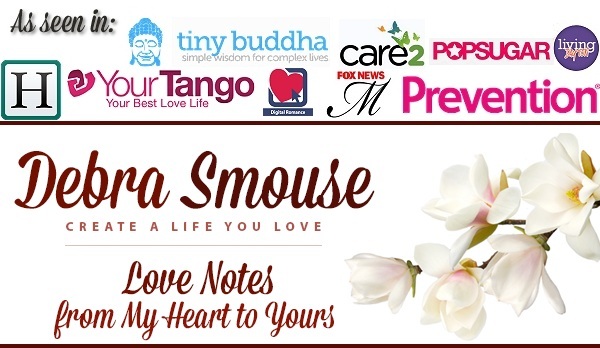 You can change your mind at any time by clicking the unsubscribe link in the footer of any email you receive from me, or by contacting me at Debra@DebraSmouse.com. I will always treat your information with respect and will not share your information with anyone. For more information about my privacy practices please visit my website. By clicking below, you agree that we may process your information in accordance with these terms.